First of all, we want to say thank you to all who visited our booth and chatted with us at ECEDHA 2019! We had an amazing time and saw some awesome stuff. For those that weren’t here during the conference or the Digilent spotlight session, our president Steve Johnson gave a presentation on the state of the company and made an important announcement! Even if you could not make it to the presentation, we have some exciting news. We are launching our latest product in the Test and Measurement line, the Analog Discovery Studio! 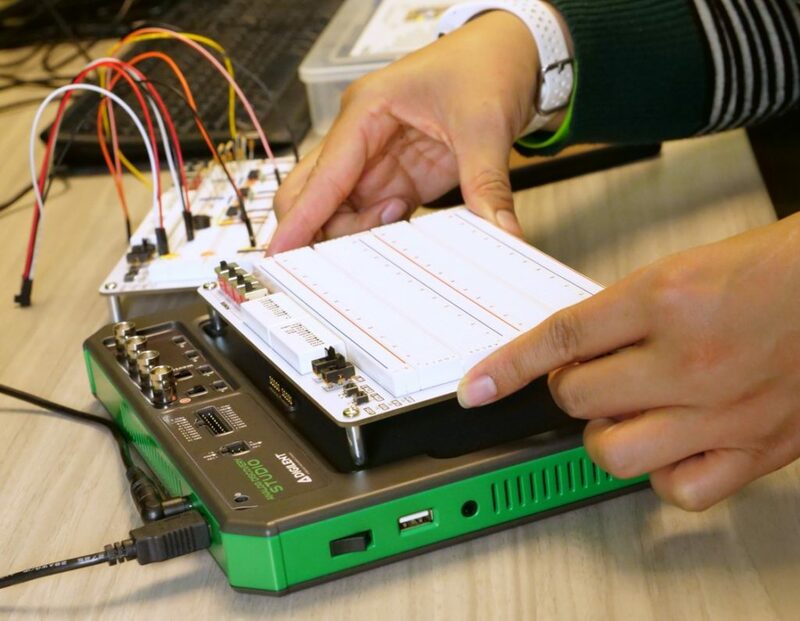 “The Analog Discovery Studio is a fully functional, portable test and measurement device that can turn any cross-functional space into a pop-up electronics laboratory. With lab spaces decreasing and student enrollment increasing, many institutions are choosing studio learning as a supplement to traditional laboratories. This new product release takes us back to our roots. 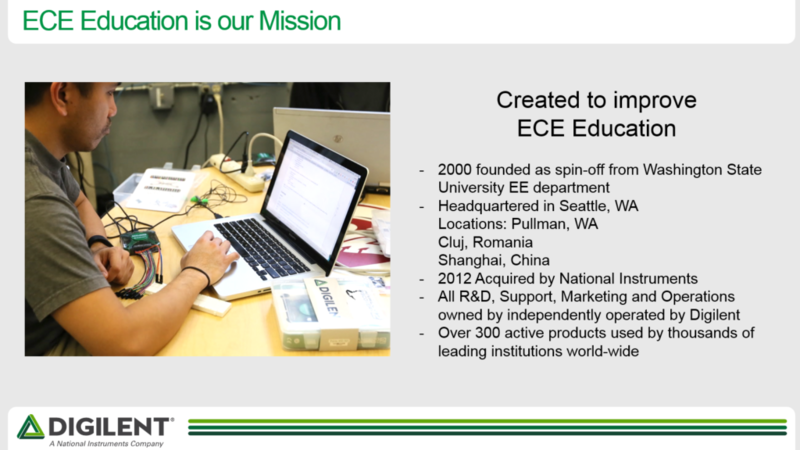 Digilent was founded with a mission in education by professors in the WSU Electrical Engineering department. We are headquartered in Seattle, WA and have locations around the world including in Cluj, Romania and Shanghai, China. We have over 300 active products used by thousands of institutions world-wide. 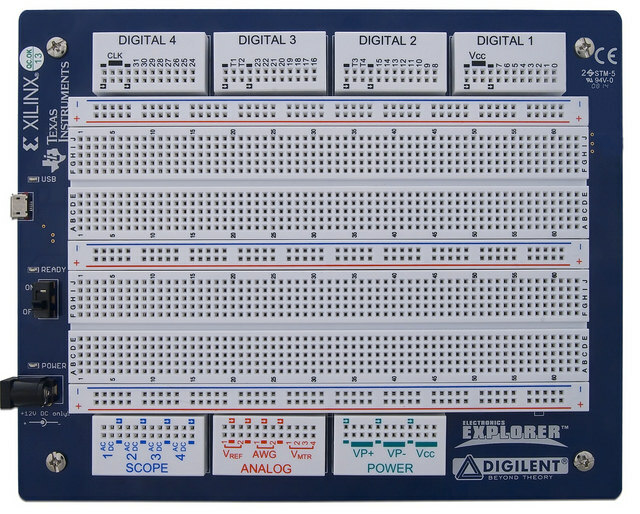 In addition to our Test and Measurement devices, Digilent offers FPGA trainers and development boards, Pmod expansion modules. 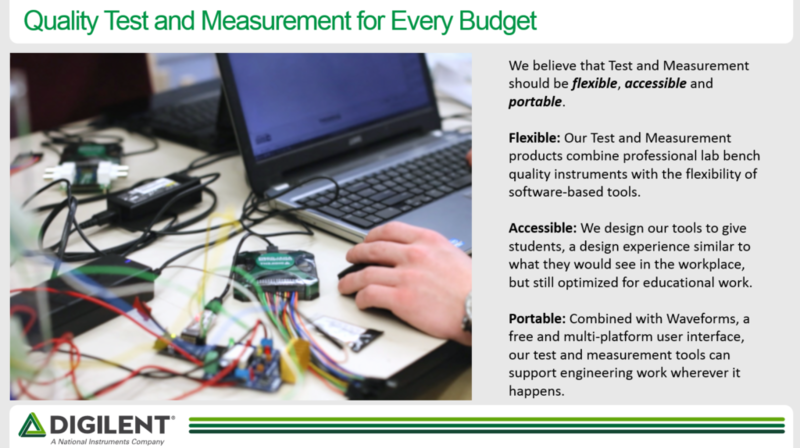 Our Test and Measurement solutions are flexible, accessible, and portable. They combine professional lab bench quality instruments with flexible software based tools, in a portable form factor. The Analog Discovery Studio launch comes in the wake of the retirement of the Electronics Explorer Board. This board was our first student-owned test and measurement multi-tool and the physical inspiration for this new generation of tools. The front of the Electronics Explorer Board, where you can clearly see the large breadboard-able work-space. 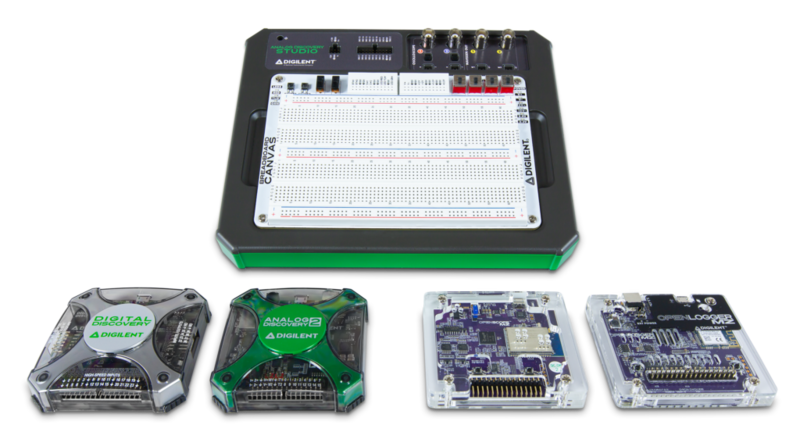 Over the last 14 years, we’ve received a lot of valuable feedback from academic Analog Discovery 2 and Electronics Explorer Boards, and determined the need for an all-in-one device suitable for “pop-up labs” or check-out systems. 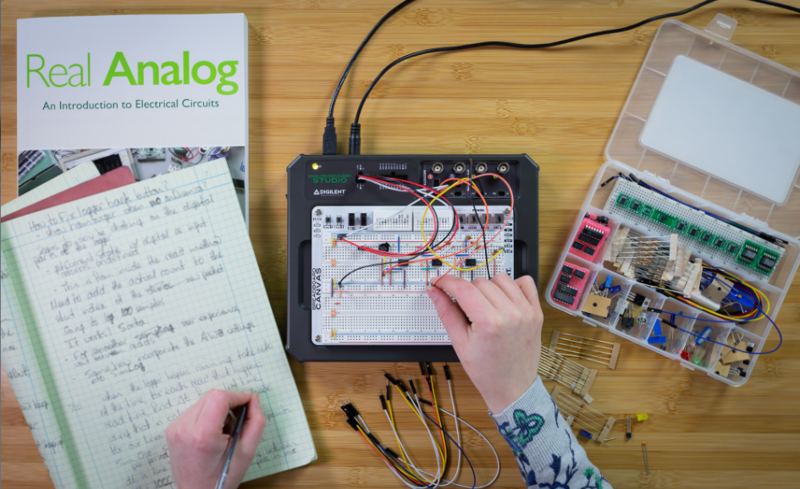 Our goal is to support studio learning with some of the best parts of the Analog Discovery 2 and Electronics Explorer Board. 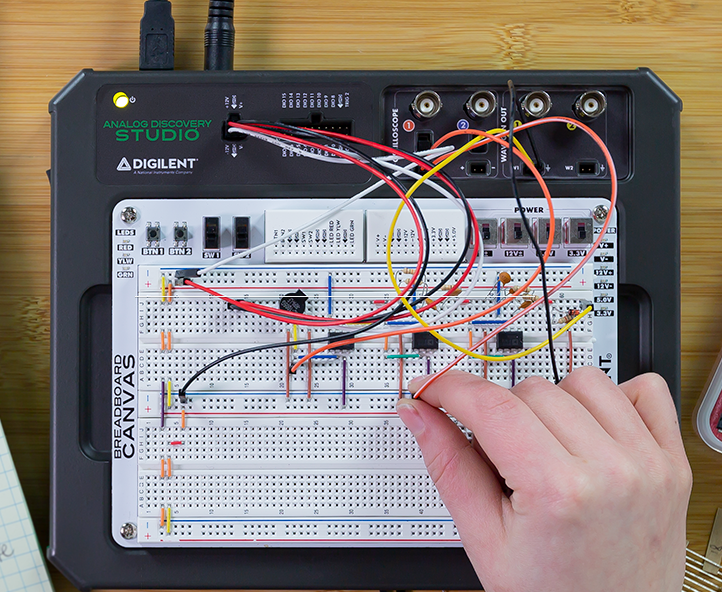 Analog Discovery Studio is a Test and Measurement device featuring the same 12 instruments available on the Analog Discovery 2, in a breadboardable form factor with BNC probe access. Student enrollment in academic institutions around the world is increasing faster than lab spaces can support, which is leading many institutions to choose studio learning as a supplement to the traditional laboratory. The Analog Discovery Studio will enable students to continue laboratory hands on learning in the library, pop-up labs, tutoring centers, a classroom, coffee shop, or anywhere engineering happens. If you are interested in Analog Discovery Studio, go to digilentinc.com/analogdiscoverystudio to learn more, and sign up to be the first to hear of any developments and it’s launch! Previous Article Which Test and Measurement Device is Right for Me?